CPP will visit Ward 13 this Wednesday! 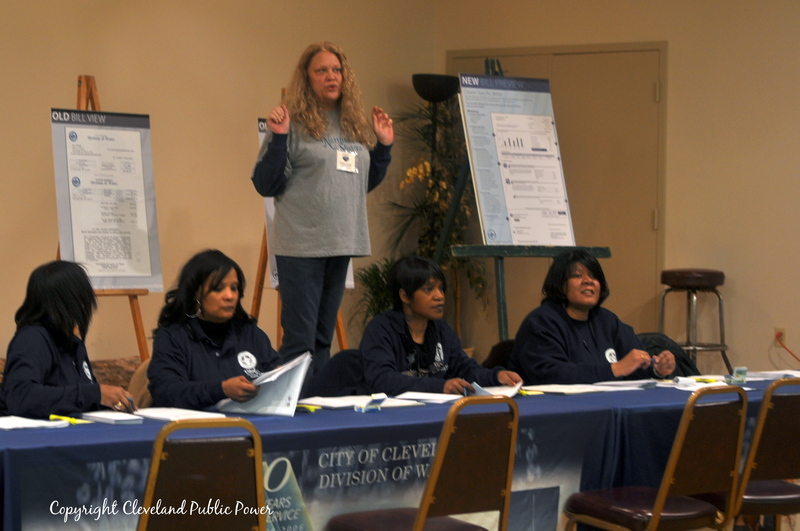 Cleveland Public Power will representatives from the Divisions of Water, Water Pollution Control and Waste at a Customer Service Fair this Wednesday, March 24th from 6-8 p.m. at Estabrook Recreation Center, 4135 Fulton Rd. CPP Marketing Manager Shelley Shockley answers a customer question. The Customer Service Fair is the second in an on-going series of Fairs offering City residents an opportunity to meet with representatives from the Department of Public Utilities to discuss concerns, and to learn about new initiatives aimed at offering better service. Also on hand will be representatives from the Northeast Ohio Regional Sewer District. 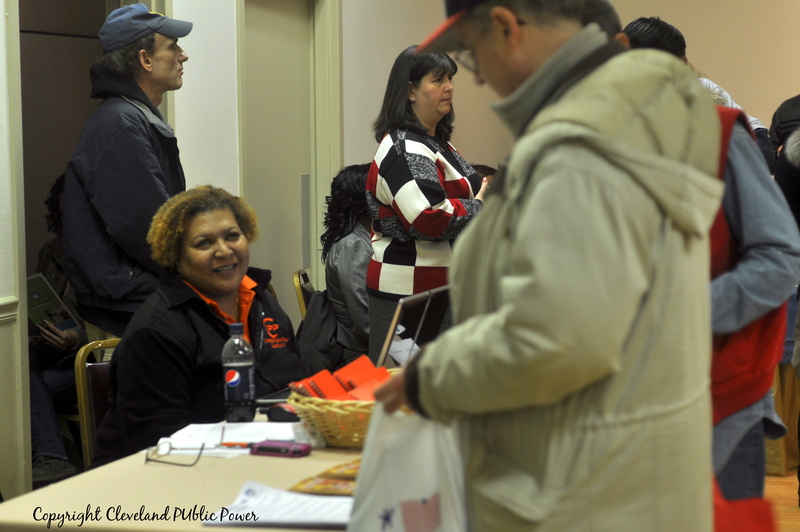 The first Customer Service Fair was held in February in Ward 11, and despite frightful weather residents came out to discuss their utility issues and concerns. So if you have questions about billing or any other issues, come on out Wednesday and customer service representatives will be on hand to answer your questions and take your recommendations for better service! At Cleveland Public Power we are committed to providing affordable and reliable energy and energy services! Most importantly, while providing this service we put our customers first!